Welcome to the official web site of the WristWand® stretching device! This site provides information about Repetitive Stress Injuries (RSI) of the upper extremities including the hands, wrists, elbows and shoulders. WristWand® is a new tool in the battle against painful, debilitating conditions such as Cumulative Trauma Disorders of the wrist and hands, Carpal Tunnel Syndrome, Tennis Elbow and Golf Elbow Tendonitis. This unique stretch using the WristWand® as directed helps protect and relieve these painful disorders by stretching key muscle groups of the hands, wrists, forearms and upper arms. The small amount spent in prevention can save thousands in costly medical interventions and lost work. Whether typing at a desk, playing the violin, or practicing our tennis serve, we do the same motions over and over again. In our fast-paced world, we don’t take the time to adequately stretch the connective tissues that are consistently under stress. At work and at play, our modern lifestyles put us at unprecedented risk for upper extremity repetitive strain injuries, such as Carpal Tunnel Syndrome or elbow, shoulder, wrist, or neck strains. If you spend extended periods of time at a computer or play sports with repetitive motions, you need to regularly stretch your upper extremities to prevent these injuries. 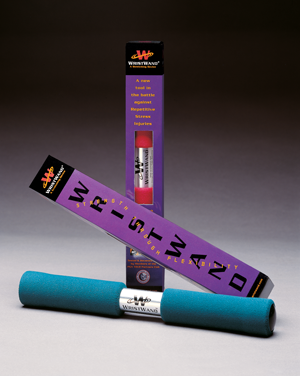 The WristWand® is a unique stretching device you use to prevent and relieve painful, debilitating conditions. 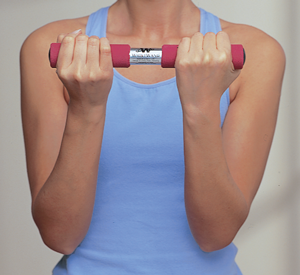 It works by targeting key muscle groups of the hands, wrists, forearms and upper arms. The WristWand® is more effective than alternatives, and is also simple, inexpensive, and convenient. Because it requires so little time to perform this stretch, it is easily integrated into your daily routine. The small amount spent in prevention will save time, money, and suffering in costly medical interventions and lost work. 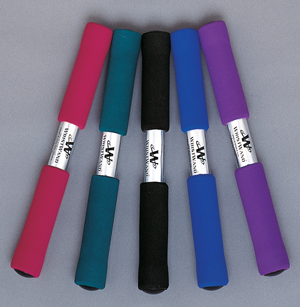 Avoid and eliminate pain by trying the WristWand® today.